I'm not wishing illness on anyone but it's someone else's turn. Do I have any volunteers? It's awards season and I've been hearing a lot about Downton Abbey. Season 1 is streaming on Netflix and I'm hooked. I love Maggie Smith in anything but everyone on this show is fun to watch. Great cast, great clothes, great accents! Who else is watching? Get better, but don't send the sickies here. We're just getting over colds! YUCK. I'll be starting this Sunday. A friend just told me about it at lunch last Monday. I'm looking forward to giving it a go. Hate that you have been sick. Hope you are on the mend. 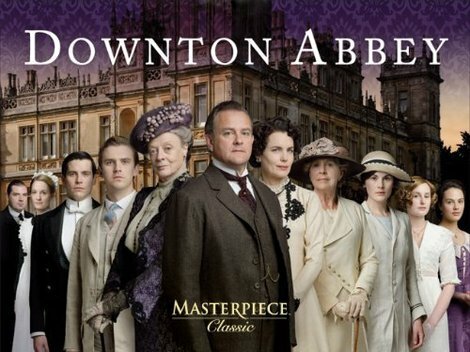 I, too am addicited to Downton Abbey. Love it! I watched it when it was on in Britain and I feel so ahead of things; it's hard to keep all the happenings a secret sometimes. Feel better, I'm so sorry for all that sickness! This page contains a single entry from the blog posted on February 2, 2012 1:38 PM. The previous post in this blog was Typewriters. The next post in this blog is Never Again.